Welcome to the home of NFL players, State Champions, Pro Baseball Players, Olympic coaches, and sports enthusiasts. New Braunfels is happy to carry on great sports traditions; swim meets that date back to the 1960’s, volleyball tournaments going strong for over 30 years, golf events that range from small to over 1000 have been hosted here for 38 years, Softball and Baseball tournaments, and many more. Some unique events such as golden glove boxing, pool, nine pin bowling, and Skat (German card game) tournaments. Sporting roots began in 1855 with the founding of the Turnverrein (athletic club) which combined exercise with socializing. Sports were not limited to physical exercise but include the oldest continually operating shooting club in the United States – the New Braunfels Schuetzen Verein. Even during war, when ammunition was scarce, the competitions continued with only two bullets per participant. Needless to say, sports competitions of any kind run deep in our area; they are not limited to school participation and still hold a vital place in our culture. The Prettiest Race in Texas! November 17, 2018 @ 8:00 a.m.
165 million orphans worldwide long for a family & need a home. Join Chosen and THE PRETTIEST RACE IN TEXAS! Set in beautiful New Braunfels, the heart of Central Texas between Austin and San Antonio, the Chosen Half Marathon & 5K is a perfect destination race to add to your calendar. The Chosen Half Marathon is a point-to-point course. Runners will be bused to their start line at The Summit Resort and finish at Rockin’ R in Gruene. Half Marathoners run alongside the BEAUTIFUL GUADALUPE RIVER surrounded by LUSH GREEN TREES, ROLLING HILLS, AND PICTURESQUE CLIFFS…. making it the PRETTIEST RACE IN TEXAS! 5K runners start and finish at Rockin’ R in Gruene. This out-and-back course offers a start line view of the beautiful Guadalupe River and travels through a peaceful community with winding streets and rolling hills. Chosen also hosts a Kids Fun Run (1/3 mile). This is truly a full-family event! Chosen is a 501c3 that helps children come into families through adoption, provides direct orphan care to those who are not adopted, raises awareness of the local & global orphan crisis, and provides mentoring to foster and orphan families. *To take advantage of these rates please make your reservations no later than 30 days in advance of the event. Hotel occupancy tax of 13% will be added to rate each night. 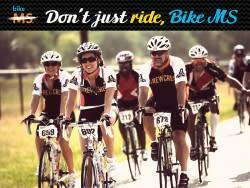 The Bike MS: Ride to the River, presented by Valero is a 2 day fundraising cycling event. The ride is a 161 mile journey from San Antonio to New Braunfels and a festive finish at the Comal County Fairgrounds. The ride begins Saturday morning in San Antonio. Riders will travel through scenic South Texas for an overnight in New Braunfels. On Day 2 the journey continues throughout the beautiful hill country of South Texas and the last half of this Bike MS experience. Join us for an event that’s more than a ride — it’s anticipation, camaraderie, personal accomplishment, and the knowledge that you’re changing lives… making every mile that much sweeter. As a great personal challenge and achievement that any rider can experience, Bike MS is both a weekend-long and lifelong opportunity to make a difference in your own life, and in the world. It’s more than a ride — it’s Bike MS.
Age Minimum: All riders must be 12 years or older by Friday, October 5. Learn more by clicking here to visit the event web site. The history, charm, and ambiance of the unique town of Gruene, between Austin and San Antonio, provide the perfect setting for our bicycle classic events. The longer tours meander along the tree lined banks of the Guadalupe River and the enchanting limestone cliffs of the Balcones Fault. Step back in time as you bask in the warm Texas sunshine all while riding through the heart of Texas – then shop, dance, wine and dine in the town that has gently been resisting change since 1872. Fraulein Volleyfest is considered by many to be the premier kick-off event for the High School Volleyball season in Central Texas. Donna Boehle and Karen Chisum founded the Volleyfest in 1976 and initially had eight teams participating. Donna Lassiter Boehle graduated from SWT in 1969 where she was voted Best All Around Athlete in high school and college. She taught school for 36 years in Comal ISD. During this time she coached volleyball at Canyon High School and boasted an outstanding record of 551 wins and 216 losses in her career. Karen Chisum coaches Texas State volleyball. Before coaching the Bobcats, Karen led the New Braunfels Unicorns to a Class 3-A State runner-up in 1976. She is one of only 11 active Division I head coaches in NCAA volleyball to eclipse the 650-win plateau! Since the inception the tournament has grown tremendously. Fraulein Volleyfest is currently the second largest in the State of Texas, and is still proudly hosted by Canyon and New Braunfels High Schools. Learn more by visiting www.frauleinvolleyfest.com. The Texas Ski Ranch is a 70-acre action sports paradise that has something for everyone. Spend the day out on the cable lake wakeboarding and waterskiing, hit the skate park, rock climb or simply lounge around snacking on the best fish tacos in town. We have amazing coaches for private lessons, summer camps and an awesome after school program. On top of that our staff is amazing and are here any time to give you pointers and show all there is to know about TSR! TSR is also a great venue to host your next party, meeting or corporate team build. We have plenty of space, a private party room and creative staff to make sure your event runs smoothly and is one-of-a-kind! Not to mention we have the best catering around from Wahoo’s Fish Taco! While you’re here drop into TSR’s Board Shop to check out the seasons’ latest trends in apparel and find everything you need for the lake scene from sunglasses to waterproof watches, TOMS, bikinis, sunscreen and more. TSR has top of the line wakeboards, wakeskates and skateboards and staff to help you choose exactly what you need. If you’re on the market for a new boat, check out our newest partner Malibu Boats and Axis Wake! Texas Malibu formerly known as Central Texas Water Sports, is now the largest exclusive inboard sales and service center in Texas with a location right here at TSR! Want to relax and watch the action? Spend some time up at TSR’s bar and grill, Wahoo’s Fish Taco. With unique flavors of Mexico, Brazil and Asia combined with a Hawaiian north-shore vibe this unique cuisine is sure to please. Whether you’ve worked up an appetite on the lake, or just want to head to the beach after a long day, Wahoo’s is the perfect place to unwind with a cold drink and great food, with some of the best views around. Check out Texas Ski Ranch’s calendar here. Enjoy an exhilarating 5k run/walk through the Gruene Historic District. Race starts and ends in front of Gruene Hall, the oldest dance hall in Texas. Kids under 12 years old will have a blast chasing a Turkey Mascot for a ¼ mile through the town of Gruene! All proceeds to benefit local charities that support law enforcement efforts to benefit the children of our community, including, but not limited to, New Braunfels Police Department Blue Santa Program and Comal County Sheriff’s Office Green Santa Program. Learn more by visiting the event’s web site here. We didn’t try to reinvent the wheel, in New Braunfels. Instead, we opted to make fun with it! New Braunfels has its very own cycling group, Team NB. Competing throughout the state and nation in races helping spread the word about some of the great events we host. 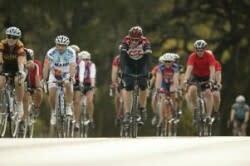 Like the Bike MS: Alamo Ride to the River, the Tour de Gruene which takes place every year during Wurstfest. Chances are, if you have two wheels and a helmet, you can find an event or group near you, in New Braunfels. For more information on Team NB, contact Nina Eastman.